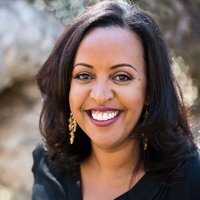 Mas Tadesse is a co‐founder of the Association for Women in Events and meetings manager for the American Dental Education Association. Acknowledged for her positive attitude, willingness to lend a hand and anticipating tasks before being asked, she truly has a knack for customer service and loves the hospitality industry. During the past 10 years, Tadesse has worked in several Washington, D.C., metro area entities, including the D.C. Commission on the Arts and Humanities, the American Society for Engineering Education, the American Society of Landscape Architecture and the American Public Human Services Association. She holds a Bachelor of Arts in political science from California State University, Los Angeles. She also is a member of PCMA, AWE and ASAE. Tadesse started her career in television news working in Southern California newsrooms, including KTLA, UPN and KABC‐TV. To gain on‐air experience, she reported for the ABC affiliate in Idaho Falls, Idaho, and the NBC affiliate in Bristol, Tennessee, with her final on‐air stop as a general assignment reporter in Las Vegas. She made the switch to meeting management and hasn’t looked back. She is a native of Amsterdam, the Netherlands, and grew up in Pasadena, California. Tadesse shares that, as a part of their efforts to build awareness of diversity and inclusion, AWE is thrilled to announce its first in‐person programming. AWE brings the movement to D.C. for a full‐day event at the Mandarin Oriental Washington, D.C. With world‐class speakers like Michelle Obama’s head speechwriter, attendees will leave with a renewed sense of purpose and innovative ideas in addition to unique opportunities to meet fellow change‐makers in business, events and politics. To learn more, visit www.womeninevents.org/elevate‐powered‐by‐awe#/. Additionally, in 2018, the Association for Women in Events worked closely with Reston Herndon meeting planners and designed a panel specifically around diversity and inclusion (D&I) because we live and work in increasingly diverse cities and communities that do not necessarily reflect our workplaces. For example, women are most of the workforce in the meetings and events industry; however, the majority of managers and executives are men. The disparity is greater when other factors are considered such as race, sexual orientation, gender identity and accessibility needs. What are the reasons for these disparities and how can we create workplaces that are reflective of our communities? As a panelist, Tadesse discussed the successes, opportunities and challenges of diversity and inclusion in the workplace. Topics included the various dimensions of diversity, opportunities to enhance inclusion and the relative impact of D&I strategies. "As a diverse group of co‐founders, inclusion was a central driver around why we created the Association for Women in Events. It's in our mission statement, and I feel that we truly live and breathe that. While women make up the majority of our community, we've made a concerted effort to include men as not only members but on our board and in our committees," Tadesse stated. This is one way they incorporated inclusion into their decision‐making process. hypersensitive to "manels" (all-male panels). This includes having panelists who are in varying stages of their careers. She recently attended a panel on differently abled people. This really opened her eyes about how society works with differently abled individuals. She learned that they are typically able to find unique and innovative solutions to challenges. Their perspectives, experiences and backgrounds support the diversity they need to achieve their strategic objectives. The senior director for meetings, Audra (Franks) Johnson, M.T.A., CMP, CAE, of the American Dental Education Association says the best way to combat unconscious bias is to "respond" instead of "react." Tadesse provided the following example, which occured early in her career. There was a magazine article being written about diversity and inclusion, and they were asking for quotes. Each person the writer sought out was white and male. One of the men Tadesse knew advocated for her to be quoted instead of him. He gave her an opportunity and a platform reiterating that you need to speak to a diverse group. Tadesse suggests hosting a brown bag lunch in your office and connecting with your team to find out what motivates them as a way to motivate a colleague who may be unreceptive to diversity in the workplace. People like to be heard and understood. Every week for one year her team had a brown bag lunch while they were building a new registration system. She had the opportunity to explain what she needed as an end user. The tech‐savvy team building the system said that what she wanted would take months to create and they couldn't accommodate her. Initially, she thought they were being difficult, but over time they developed a rapport and the result was a registration system that is still successfully being used 10 years later. Tadesse’s advice on increasing awareness in your organization or association stems from something her team does. In their office they have a "buddy" system. Her buddy provides frequent coaching and feedback on office culture, and they meet informally once a month. Having a buddy also helped her collaborate with their multigenerational workforce and helped combat silos within the company. Her boss also does a great job applying a unique management style for each person on the team, which has created a dynamic, well‐managed diverse workforce. There is no one-size-fits-all solution for diversity and inclusion awareness. Communication, incorporating an organizational strategy that capitalizes on the multiple perspectives, and creating a collaborative environment all help toward the end goal of creating a diverse and inclusive culture. Please visit our website at www.mpiweb.org/chapters/potomac to learn more and register for all of our events, as well as information about the resources we have to offer you.